Manchester United today announced their new official club Twitter account, becoming the last English Premier League and UEFA Champions League team to have an official Twitter presence. The English champions have long been absent from Twitter much to the surprise to football fans, so today’s announcement will be huge in the Football Social Media scene. At the moment, the official Twitter feed @ManUtd has just 49,000 followers but this number is expected to sky rocket in the next few weeks as United aim to match their impressive Facebook following. The Red Devils currently have 34 million Facebook Fans – putting them in the top 100 Facebook Pages worldwide. United will have some work to do though, chasing the current EPL Twitter leaders Arsenal who have 2.5 million followers and Chelsea who have 2.3 million (And also hold the most engagement this season). Why have they been absent for Twitter for so long? That being said, United fans have long asked for a Twitter account – some to engage with the club better, some simply out of sheer rivalry (as generally Manchester City are viewed as being hotshots at Football Social Media presently). Undoubtedly United have taken their time to formulate a business case and strategy for the channel – which of course is sensible. But, one has to question why it’s taken them nearly 3 or 4 years to get with the trend, potentially missing out on engagement (and driving traffic to their website) from EPL, Champions League and Cup match days. Furthermore, the lack of an official and verified Twitter account has lead to much confusion as unofficial fan accounts have taken the opportunity to build significant followings in their place. Have United been planning this for over a year? This perhaps suggests that United wanted to make a real business case for the channel and try integrate a commercial element into their Social Media strategy with advertising opportunities for sponsors. 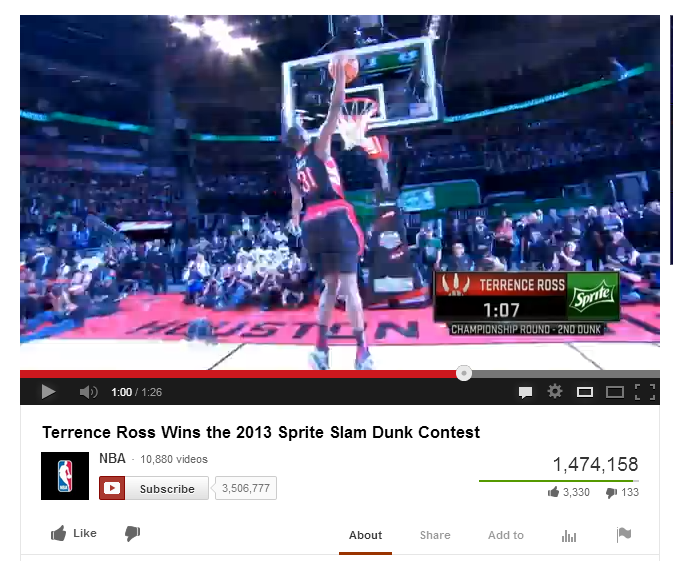 A clever move, and something we have seen all to often in recent months in the US, as established sporting brands now look to try monetize their channels (as we predicted earlier this year in our 2013 Sports Social Media predictions). Why have they chosen to launch it now? Perhaps the recent Social Media noise around Sir Alex Ferguson‘s departure (which generated nearly 1.8 million tweets in 24 hours) was a sign that the club was missing an opportunity to utilise Social Media. Certainly the Mancunian side have been keen to promote hashtags for #SirAlexThankYou and #UnitedContinued on their website, around the stadium and in marketing collateral in recent weeks. 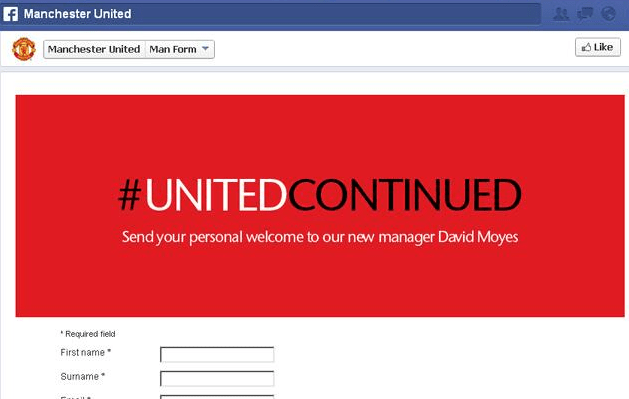 However, things are clearly still in development stage as United also showed some of the hazards that can come with Social Media, when they accidentally jumped the gun and announced the appointment of David Moyes as the new manager on Facebook prematurely. 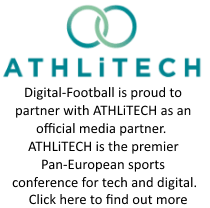 Nevertheless, it’s a positive sign to see United finally join Twitter and it will be exciting to see them take on other European clubs Social Media activity – particularly if they have a sizable budget behind them. Founder of Digital-Football.com and leading Football Social Media expert. Thanks Sean! Had it prepped for a few weeks to be honest! Because their social media team are muppets, doing stuff like this. All seriousness it is quite surprising how far behind the game they were on twitter, maybe they are just wanting to prove they can catch other teams up despite being so far behind.